Following an absence of better than a decade, Greece's Fortress Under Siege ressurected and reunited to record their first album in 2011. 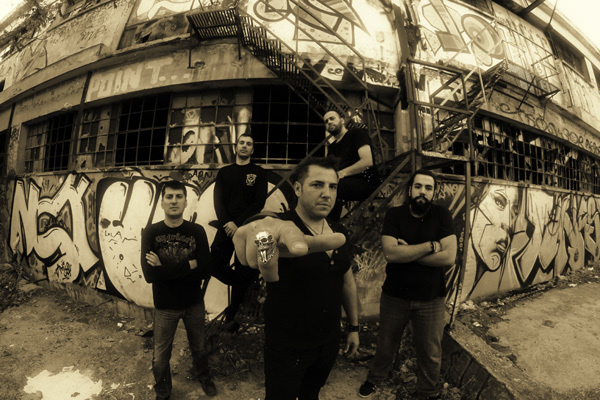 Still alive, the band returns with their second effort Phoenix Rising, with ex-Spitfire vocalist Alex �Hannibal� Balakakis on the microphone. Phoenix Rising offers a good blend of traditional heavy and power metal with some obvious prog nuances. Fortress Under Siege is also strong on melody and putting some solid rock groove into many songs. Notably it underlies the chorus or vocal arrangement as within the Final Attempt or the title cut. Mostly, being founded by two guitarists, most of the arrangements are large on riffs and big solos. Eagles Fly Forever, a true heavy metal number, is a good example of song built almost entirely on these two characteristics. Alternatively, the band finds room for additional variation throughout the album. For instance, Hate What We Like turns more upon the power metal motif, but with some slight harsh heaviness that reminds of modern metal, and Balakakis can sound quite raw. Within A Martyr's Death you find more traditional progressive power with the tempo changes, but also many flourishes of keyboards, often playing off the guitar solos. For something not nearly as bracing as most of the album, there's Whisper In The Dark, a metal hymn that moves mostly by vocals and light guitar. Sturdy riffs only come at the end. Blue Valley Shadow also dails back on the heaviness somewhat with riffs drawing down to a moderate churn and Balakakis' vocals rising above them. Yet, at about two-thirds in, lead by a short bass solo, those riffs advance and fine solo directs the song to it's conclusion. Overall, Phoenix Rising isn't the most novel progressive power metal; Fortress Under Siege is not reinventing the wheel here. Nevertheless, it is both well composed and played by musicians who have a vibrant creative focus, and that makes Phoenix Rising both interesting and entertaining. Recommended. 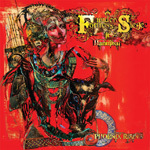 Phoenix Rising isn't the most novel progressive power metal; Fortress Under Siege is not reinventing the wheel here. Nevertheless, it is both well composed and played by musicians who have a vibrant creative focus, and that makes Phoenix Rising both interesting and entertaining. Recommended.